Today I want to write about newer players and the learning curve for a game like World of Warcraft. Compared to many other MMOs, World of Warcraft has a low learning curve. It is friendly to newer players and fairly easy to pick up even for people who haven’t gamed before. WoW proves this by appealing to a very wide demographic that you probably wouldn’t find in, say, an FPS player base. You can also see this in Blizzard’s famous 11-million-subscribers figure. But while the basics of playing WoW are simple, the massive size and complexity of the game and its vast world can make truly learning all the ins and outs a daunting task. Much of the game requires outside research and preparation in order to perform adequately enough for any group work. Learning to play the game “right” is something established players rarely need to think about and, if they joined to play with mentoring friends, potentially something they have never had to consider. Yet much of the latest game development has brought this issue to the forefront. Recently many of us have started encountering “less knowledgeable” players frequently via the new Looking For Group dungeon tool. There has also been a great many changes in recent patches (and planned in future ones) to make the game more accessible or, as dissenters might frame it, “too easy.” With these types of players impacting everyone’s gameplay, the issue is now relevant to all WoW players. Whether it’s the Death Knight wearing spell power, a mage that is incorrectly gemming for crit, or a rogue still playing combat daggers, many of us have found ourselves frustrated at these players. Doesn’t he know anything? How hard is it to look up the correct talent spec? Everyone knows ability X does more than Y! But it’s not that simple, and such judgments are, at least partially, unfair. I didn’t fully realise how much about WoW I’ve really learned outside of the actual game or from friends who also played until I bought my father an account as a gift. I gave him the very exhaustive run-down of all the basics, which are more than five minutes of explanation. I showed him the various hotkeys and shortcuts, the way to control his character and access the game menus, maps, social pane, spell book, etc. I explained his abilities, the questing system, how to find things in the world and in cities, how to tell if something is worth saving, class roles, professions he could learn. I informed him about the bank and auction house, and told him about needing to repair and train weapons. I had to go over how to communicate, and how to specify if it went into a private whisper, or was out loud, or in party or guild, and when it was appropriate to talk where. Then, thinking he was set, I left him to his own devices thinking he would figure out the rest by exploration and experience. However, when I checked in on him when his character was around level 30 (which is a only a handful of hours of gameplay, even for a brand new players) and found he’d spent no talent points — if fact, didn’t even know what they were because nothing in-game explains them to you. He was also wearing [white] vendor gear because it had “more armor” than some of the greens he was getting from quests. I told him magic items were better and that armor didn’t matter very much, only to catch him wearing cloth with useless stats for him at a later date. So then I had to explain that only some stats on magic armor were good for him, and that was followed later by me having to explain why that spell power item was bad for his hunter even though it had hit and crit on it which I had put on the list of useful stats for him. And so continued the endless cycle of me being frustrated with him not understanding and his being frustrated because I was seemingly contradicting myself and not making any sense. Even explaining something as simple as buying an epic mount reflected what a vast divide there is between his perspective and that which I am used to (“Why do I need to go faster? If I’m going a long distance I use the flight master anyway”). Think about the following questions: How do you know what specs are “best” for leveling, that someone probably doesn’t want to level as a holy priest or a protection warrior, especially if they’re still learning the game or aren’t playing with a friend? Why isn’t “mana per five” something they want on their mage, even though they use mana? How do you clarify armor classes to someone without misleading to them to think that armor is more important for non-tanks than it is? And how would you explain why a piece of cloth armor piece with stamina, intell, and crit is bad for their leveling warrior after you just told them that crit is useful for them, stamina is decent, and armor doesn’t really matter? Furthermore, how do you explain the differentiation on why stamina is something that you don’t gear for but that it’s nice if your armor has it, but intell is something you don’t gear for and isn’t really okay if your armor has it? How do you clarify the ambiguities of all those kinds things that don’t really matter, except when they do? How do you enlighten someone as to the delicacies of why it’s better they let the hunter take that gun, even though it has stats on it that are useful to their rogue? Where in-game do you learn about the existence of enchants, belt buckles, and armor kits, if you don’t have one of those professions? How do you know that you can put a green gem in a red socket, or whether you should? How do you learn the value of professions in the first place, especially what they will mean in “end game?” For that matter, how does one know definitively that a particular piece of armor, or enchant or gem or glyph or talent or ability is “worth” more than another? I always took these types of things as blatantly obvious before but now I was beginning to see that they are pretty complicated to a player who is new to the game, and especially confusing to a person who unfamiliar with the RPG/MMO genre entirely. Today my father has six 80s (he levels them quickly and then immediately retires them after reaching the cap) but still asks me questions that kinda horrify me. He’s an intelligent man, but not only is he not a part of this “world” of outside reading and research, I don’t even think he realizes this world exists. It just doesn’t occur to him that not only do people see it as a “big deal” if you’re not doing things perfectly correct, but that people go as far as to run simulators and use spreadsheets and argue on message boards as part of the process of determining what is correct. And even if they knew, it would probably sound like absolute madness that we do these things for a game. It may sound bizarre to the people here. As evidence by the fact you’re reading a WoW related blog, you are the kind of person who already uses resources outside of the game to improve your characters. However, players like you and me make up a minority of the player base. For the average WoW player, it probably has never even occurred to them to do outside “research” on a game. 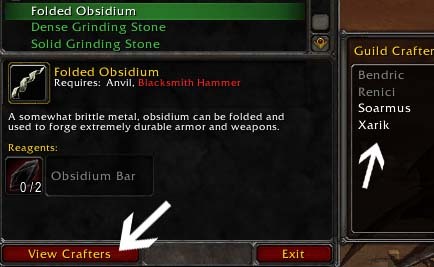 There are tons of people whose relationship around WoW is limited to the times between opening and closing the client. Those people may not even realise things exist beyond that. So something is not made apparent through regular gameplay, they’d be oblivious of it through no fault of their own. It is perhaps time, with this in mind, that we learn to adjust our tolerances and, when really exasperated, aim for educating not berating. I see a lot of requests on the official Suggestion forums asking for Blizzard to make special servers with the time rolled back to Classic or Burning Crusade. These requests often come with sharp critiques of the current expansion(s), going as far as to accuse them of “ruining WoW.” I see this even more with Cataclysm looming, where some of the quests and zones responsible for our fondest WoW memories will be going away. And while I will miss those reminders of early WoW, largely I think nostalgia gives people rose-tinted glasses. I remember because there was not much to do at 60, Blizzard drew out the leveling process by filling it full of tedious “busy work” that was designed to be time consuming but without the advantage of being more fun or interesting or even having better rewards. They did this by doing things like sending you running (literally) all the way across the world to talk to someone, only to have them send you back again. To further this goal, travel was intentionally made slower than hell. You didn’t get your first mount until level 40 and even then it was the slow one. People think it’s “too easy” that we get our mounts earlier and cheaper now? Well, I’ll counter that my gaming experience was not enhanced, nor did I become a better player, from the “challenge” of running the full length of Azeroth on foot. I remember having to sit at the computer through long taxi trips because you had to reboard the bat at every flight stop, which was aggravated by long, inefficient travel paths that often circled back on themselves or took long detours. I remember if you talked a friend into joining the game to play with you, well, you better make a new toon to play with him because it’s going to be months and months before he catches up with your main… if he doesn’t get burnt out trying to do so and quit before then. And boy, you better hope you like that class you’re leveling as much as you did when you made it, because if you have any semblance of a life, it’s unlikely you’ll have the time or energy to reroll after you’ve hit the level cap. I remember doing long quest chains or completing arduous journeys only to be rewarded with a [white] item or something absurd like a +spirit 2h axe. Some slots, like trinkets and necklaces, were just very hard to find in general. I began raiding, as a rogue, with the +dodge Alterac Valley pvp trinket and the damage absorption one from Araj the Summoner because little out there was better. I remember the amount of crap you had to carry back then. Everyone’s bag space was filled up by reagents, specialty tools and class-unique items, not to mention materials needed for professions. Of course, many common items only stacked in tiny quantities, if at all. Many of your bag slots were also permanent inhabited by other crucial items like keys. Forget even carrying fun items like pets or more than one mount, which originally occupied bag slots unlike today. And professions? I remember items that gave you bonus to +skinning but were not skinning knives so you had to carry both, and mining picks that you could not mine with. I remember when you had to keep every level of enchanting rod. 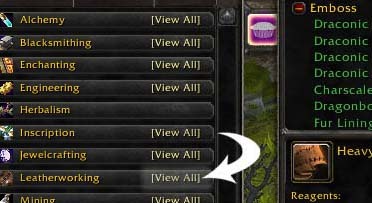 Of course, you probably never used those low-level enchants anyway because the profession UI didn’t used to have a search feature to find them even if you wanted to. I remember missing entire dungeons leveling up, or else having to wait until everything was grey or green so three of us could underman the place, because it was next to impossible to find groups with the laughable LFG chat. Additionally, if you weren’t part of the first pack of people to hit 60, it was really hard to even find people to do “end game” dungeons as well; after so many 45 minute Baron runs, attunement chains, fire resist farming, or just from running them a million times because there wasn’t much else to do, everyone would rather eat glass than visit those places again to help you. And I remember when running a single dungeon a full evening’s commitment, and even then you often didn’t finish. I remember that it took a significant portion of time to traverse the map to get to their locations because summoning stones didn’t exist, and once there you could expect to spend four or five hours inside, much of that time spent being lost or mindlessly killing (or rekilling after they respawned) packs of trash. Worse yet, we had to run some of them (like BRD) many, many times to get the gear and attunements and keys we needed before we could even think about doing cooler things. 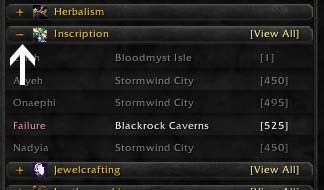 I remember the ungodly long run back to Blackrock Mountain after a wipe. Ask yourself, is it challenging to waste a quarter of your raid time because the run back after a wipe takes ten minutes, or is maybe just frustrating for no good reason? Blackrock wasn’t the only offender; I remember dozens of other places where the nearest graveyard, flightpath, inn or mailbox was obnoxiously far away for no apparent reason. You spent more time being inconvenienced by little things than actually playing the parts of the game that were fun. I remember raiding was the only way to better yourself at 60, and unless you found a (large!) guild to do that with, it was farming twilight’s hammer in Silithus or grinding undead in Eastern Plaguelands to do, and that was pretty much it. Practically every epic in the game was only available through devoted raiding. There were no crafted or reputation based ones that a dedicated person could work towards on their own with effort. If you didn’t have time to raid or know enough people, you might as well just cancel your subscription once you hit 60. There were few solo activities, no dailies, no achievements, no titles, no cool rewards to unlock. And for every person I hear pine for classic raiding, I remember a dozen people who swore if they ever saw lava again it would be too soon. People frequently described Molten Core with the same adjectives they might use to talk about a kick to the groin. I remember raids being a logistical nightmare to wrangle 40 people, although this was partly made easier by the fact that half of them only had to be “warm bodies” and there wasn’t really any need to contribute more than that. Difficulty was often related to abhorrent resistance gear checks, aggro problems from white damage, or the aforementioned logistic struggles, rather than impressive and challenging strategies requiring teamwork and skilled execution. I remember armor pieces, including class sets, being itemised as if they let a monkey pull random stats out of a hat. Holy paladin wearing agility or a warrior with spirit? Of course. You wore armor with stats that were useless to you, because that’s all there was. Dungeon sets had +armor bonuses, whether you were a tank or a healer or a mage, and nothing was oriented towards a particular spec or playstyle or role. I remember most classes only had one spec they could play on for PvE and many of those being just one trick ponies. If you were a shaman, you were resto and it was just because your raid needed you to drop mana tide for the real healers. Rogues were combat, warriors were tanks, and druids could do a wide variety of things poorly. Shadow priest? Ret paladin? In PvE? You’re joking, right? Of course, the revelation that the class you picked may be laughably bad would often only be discovered after you’ve already invested months of work into getting it to the level cap. Surprise! I remember when talent trees were littered with stupid talents like rogue’s (original) throwing specialization or parry for hunters, or were totally schizophrenic like shaman’s enhancement tree where you would take absurd talents to improve your shield block because it was, ironically, a prerequisite to the tier that taught you to use two handed weapons. Even if a particular talent tree had avoided containing useless talents, there was no guarantee it would be a balanced and playable spec choice. 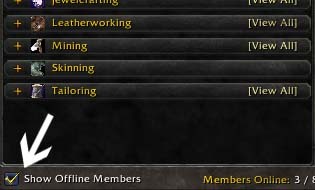 I remember when there were no mage tables, soulwells, or summoning portals, and we brought those classes so they could spend the first thirty minutes of our raid just making water and cookies or summoning people one by one. Mages were glorified venting machines, warlocks summonbots. I remember when HoTs didn’t stack and only one healer in the raid could use them. I remember when they increased the boss debuff limit from 8 to 16, but people had to be careful what they put on the boss lest it push off something more important. I remember being a rogue who used sharpening stones instead of poisons for that reason. I remember five minute paladin blessings. I remember when hunters couldn’t trap in combat and feign death killed them if they did it for too long. I remember when group buffs and max rank spells could only be learned from raid-drop books. 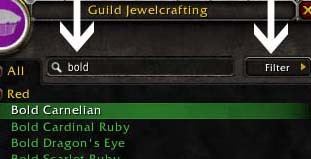 I remember before Guild banks and linked auction houses. I remember nicknames like “Lagrimmar” and being nearly incapable of playing in those cities on even the newest machine due to the horrible crowding and resulting server latency. I remember being so poor at 60 because there were no dailies to balance out my gold loss from raiding repair bills. I had no epic horse because the only way to get one was to spend my precious little time in-game grinding mob after mob after mob for coins or playing ebay on the auction house just to get enough money to buy it. My epic PvP mount sat in my bank until Burning Crusade, when I could finally afford to learn it. I remember waiting hours and hours to get a single battleground match – if I was lucky enough to get one at all; I also remember sometimes logging off after hours of playing and never seeing the match pop. I remember each faction arguing – justifiably — that the other had an edge in PvE and/or PvP because they didn’t even have access to the same classes, buffs and abilities, including staple buffs like Kings, Might and Wisdom. 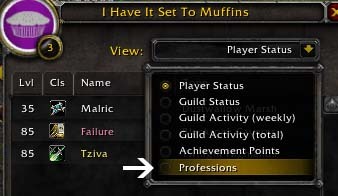 I remember when you had to install addons to get many things that are base functionality now, like more than one action bar, auto-loot, scrolling combat text, and all the other great addon features that WoW took and made standard, including snazzier things like boss warnings, voice chat, threat management, instance maps, and gear-set management. I remember the original chat window and auction house interface. I remember before you could shift-click links of quests and items into chat and before you could track quests on the side of your screen. I remember the time before target-of-target. I remember when they added the “dressing room” and the ability to buyback things you’d accidentally sold. That’s not to say classic WoW wasn’t fun. It very much was and we wouldn’t have stuck around if it wasn’t. By pointing out the negatives, I’m not denying all the positives, too: The communities were smaller and more tight-knit. End game wasn’t so much of a gear-grind. Getting a level felt like an achievement, and not just one minus on the “needed until 80” race, and hitting the cap was something to be really proud of. Epics really were epic. But the point is that as time passes, we remember these nice things we may have lost, but often overlooked how much really, really positive stuff we have gained, and all the great refinement on gameplay and the many additional features that have really enhanced our gaming experience. I’m not saying I hate classic WoW, I’m saying – Wow! Look at how far we’ve come! Overall, the main problem with vanilla WoW was that it was stagnant. It took a lot of time to reach the end, but once you did, there were only so many things you could do until you finished all there was to do, which wasn’t hard to do before long. After that point, it was boring and it caused a lot of disinterest from people who had up until that point invested a lot into the game. The only solution to this was to add more stuff, which Blizzard did and continues to do every time the content gets tired. Do we miss the old content and some of the great things that were a part of it? Sure. But, at the end of the day, it seems fairly obvious to me that we’re where we are because of necessity to keep this game alive and compelling. Demands for classic servers and critiques of the concept of expansions are shortsighted because they ignore this very critical fact. Even if you’re one of those people who pines for the original game, you have to acknowledge all the positive changes and additions that Blizzard has made over the years.